Ownership of a home on the Virginia Coast offers a lifestyle unlike any other. We know Coastal Virginia…its local communities, the many waterways which offer endless opportunities to fit any lifestyle, and a multitude of “safe harbors” to call home. We live here, we work here and we support our community. 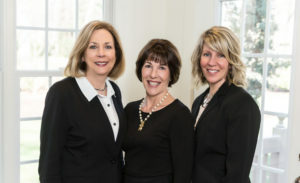 Virginia Coastal Connection is a collaborative group of Rose & Womble Realtors who share a dedication to client satisfaction while adhering to professional standards. We love what we do. When you work with one of us, you also have the support of our group, ensuring a diverse body of shared knowledge and the best possible service. We want our clients to have a resource to search for homes and to obtain information about our local real estate market. We want to share with you why Coastal Virginia is such an amazing place to call home. If you’re considering buying or selling residential property in Coastal Virginia, we’re here to help in whatever way we can. So have a look around and let us know if we can Guide Your Next Move.